Enjoy the excitement of the Panama Bay or near by Island on a yachting excursion. 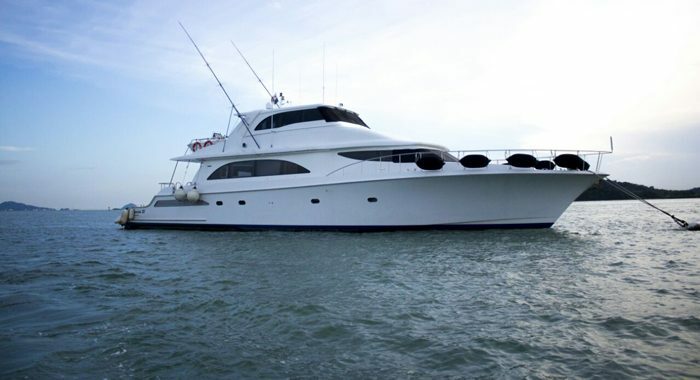 Panama Yacht Parties come complete with all the necessities including hot Escorts from Panama, Crew and Personal Chef. Live like a VIP at sea for the day or Star in Your own rap video complete with ocean backdrop, Latin lovers and tons of booz. Select from of our most popular Boats and Yachts with lengths of over a 100ft. Each Charter comes staffed with private captain quarters. Preview details and pictures of our Yachts on this page and depending upon where you look to drop anchor the price will vary. 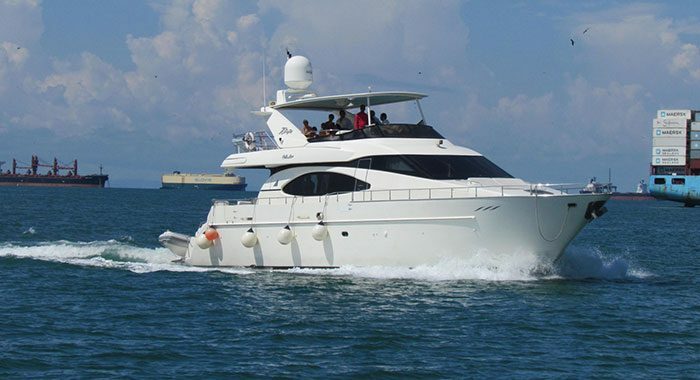 Yacht Charters in Panama are available to the surrounding areas of Panama City Panama, including the Canal and Islands. Whether you look to sail the seas for a leisure excursion or set assail for weeks on end, we have Yacht Charter pricing set to accommodate any group. 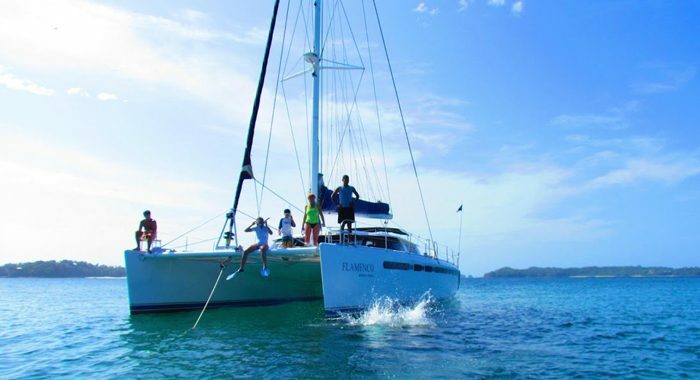 Renting a Yacht or Boat in Panama starts at under $1,500 for a 4 hour tour with discounted pricing options as you extend the length of the rental. Click Below to find out details on our popular Boat Rentals and Yacht charters available in Panama City Panama. No Yacht Party would complete without escorts! We round off our yacht charters ideal for businessman's, VIP's and Bachelor's looking to set sail at an all inclusive rate. Yacht Parties includes Round Trip transportation to the marina, Food/Beverage, entrainment a trained stuff and much more! Length 56ft (17.20m), Beam 26ft 9in (8.15m), Draft 4ft 7in (1.40m), Fuel capacity 132 gals (6001), Fresh water capacity 266 gals (12001), Area de velas 1720sq.ft (160sq.m), Motors 2x56 HP Yanmar Diesel, Design Jean Berret, Interiors Design Oliver Flahault, Constructor Fountaine Pajot. 70' Azimut 2005 Luxury Mega Yacht: Our Vessel is full luxury equipped with all the creature comforts for cruising, with 3 staterooms with bathrooms, & 1 master bedroom 4 rooms total with full bath, each room with direct T.V system, fully air conditioned, our main salon is equipped with a 52' T.V, stereo cd with surround sound, Full galley, beautiful living room, an Outside Grill is available for evening or day BBQ. 92' Choy Lee Luxury Mega Yacht: Our Vessel is full luxury equipped with all the creature comforts for cruising, with 4 staterooms with bathrooms, & 1 master bedroom 5 rooms total with full bath, each room with direct T.V system, fully air conditioned, our main salon is equipped with a 52'' T.V, stereo cd with surround sound, Full galley, beautiful living room, an Outside Grill is available for evening or day BBQ.